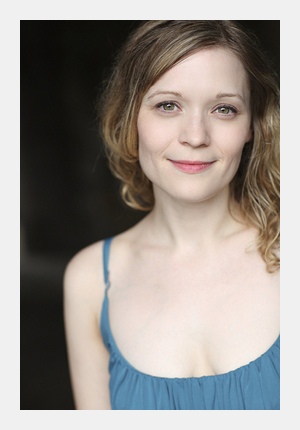 Alisha Spielmann was most recently seen in Flux Theatre Ensemble’s production of Sans Merci by Johnna Adams at the 4th Street Theatre in NYC. She can be seen in the web series Producing Juliet this fall at www.producingjuliet.com. Off-Broadway: The Runner Stumbles (The Bleecker Company/Retro Productions). Off-Off-Broadway: Sans Merci (Flux Theatre Ensemble); Blast Radius (Gideon Productions); The Runner Stumbles, Dear Ruth, The Desk Set (Retro Productions); Intermezzo (New York City Opera); Killer High, Hack! (Vampire Cowboys); Ten Year Twilight (Nosedive Productions); Hack! (Impetuous Theater); Native Speech, All’s Well That Ends Well, Love In The Insecurity Zone (Boomerang Theatre Company); Bus Stop, The Learned Ladies, As You Like It (The Gallery Players). Regional: As You Like It, The Christmas Carol (The Guthrie Theater); The Last Train To Nibroc (Paul Bunyan Playhouse). TV/Film/Web Series: Producing Juliet, Celebrity Ghost Stories, Sigma, Exorcists Local 667, Dates Like This.